Raising a child in today’s world can be a challenge. Early education is a key for long-term success. However, the amount of options and regulations for early learning in Pennsylvania can feel overwhelming for both families and early learning providers. If only there was a way to simplify matters, allowing people to identify quality early learning providers, programs and services without the stress of complicated layers. Over the years, Pennsylvania’s Office of Child Development and Early Learning (OCDEL) initiated programs such as Keystone STARS, Head Start Supplemental Assistance Program, Pennsylvania Pre-K Counts and Maternal Infant Early Childhood Home Visiting (MIECHV) with grants and support. Each had positive outcomes for children in mind, however, they created unnecessary burdens for providers and families receiving these services. OCDEL saw an opportunity to move to a more streamlined system with less administrative burden for providers and more ease for families to identify the quality services they need. 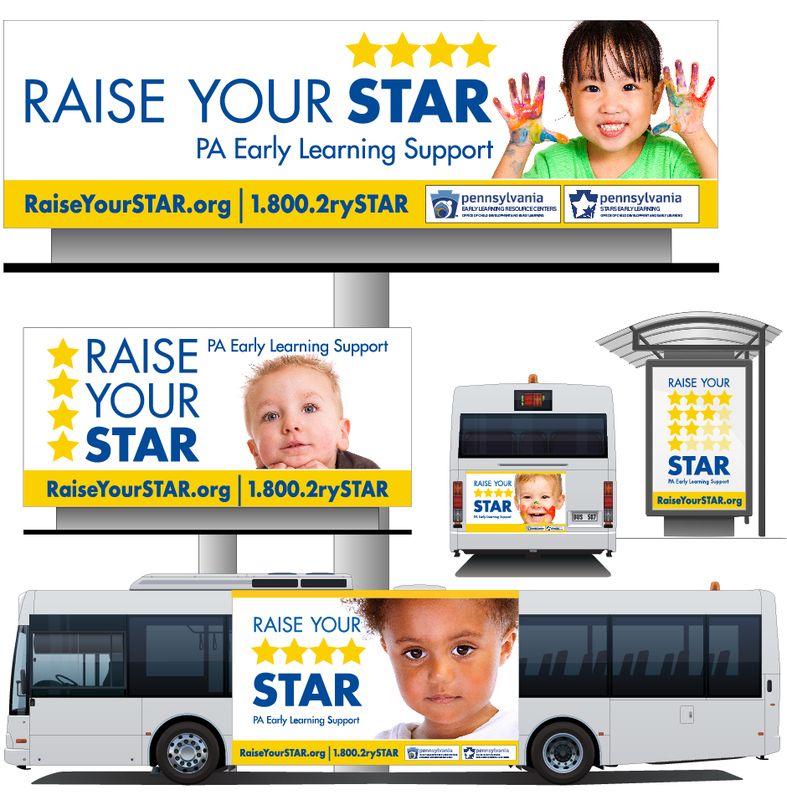 As part of the streamlined solution, CrossRoads Studios envisioned and created the unifying statewide Raise Your Star campaign theme. 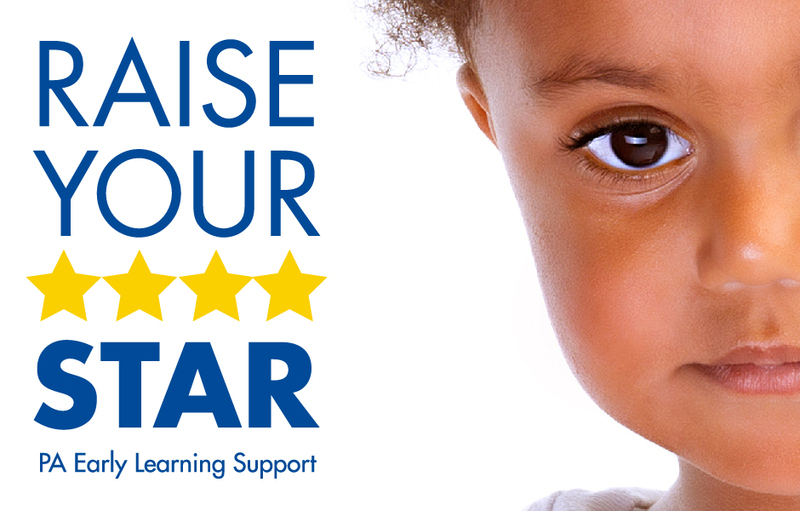 This easy-to-understand, 4 star rating system visualizes the single point-of-contact for families, early learning service providers and communities to access information and services for Pennsylvania’s high-quality child care and early learning programs.